If you want to enjoy your life, you must have some useful health and personal care apps on your device to maintain your healthy life. In this article, you can view a list of the best health and personal care apps for iPhone and iPad. If you are a health conscious person, these apps could be very useful for your device. Check out the list of personal care health apps. 1. Calorie Counter PRO ( iPhone ) – Calorie Counter Pro is one of the best personal care apps on the app store that comes with tons of useful features which are very useful for every health conscious person. The app can be used for many purposes such as food tracking, Weight-loss projections , health progress tracking etc.The app comes with more than 475000 food database, powerful bar code scanner, 500 useful health exercises & activities, powerful tracking function, calories, weight maintenance calories, BMI and BMR calculation option and many other useful health care related tools. Recommended app for iPhone users. 2. MyPlate Calorie Tracker ( iPhone & iPad ) – One of the best health apps on the App store and it comes with lots of features and helps you improve your health easily. With the help of this app, you can easily track and monitor on your health and diet activities, find different types of foods including restaurant items, track daily health activities and use many other useful tools to get health related information. Recommended app for health conscious people. 3. HealthTap ( iPhone & iPad ) – One of the most useful health apps on the app store which are available free of cost for iPhone and iPad users. The app helps you get answers of medical and health related questions from real 43,000 U.S. doctors free of charge. Official iOS version of popular health site healthtap.com where users ask health related questions to get answers from reputed doctors. The app also helps you find doctors, get useful health tips , follow doctors and send messages to them. Very useful health app that can be installed free of cost on your iPhone or iPad. 4. 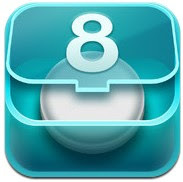 Pillboxie ( iPhone & iPad ) – Great app to remember all of your pills. The app is a complete solution to remember your daily pills. You can easily set schedule reminders by dropping pills into a pillbox, after dropping pills to your pillbox, it automatically reminds all of your pills on time even if your device is asleep. The app doesn’t require internet or network connection. Very useful app for patients. 5. GoMeals ( iPhone ) – Beautifully designed free health app that helps you make healthy lifestyle by tracking your foods , physical activity & progress, and glucose. 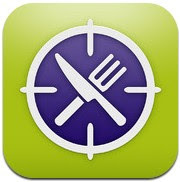 Very useful app that is integrated with some very useful features which are very useful for health conscious people. The app comes with powerful food tracker including calorie counter, activity tracker that tracks physical activity and progress, glucose tracker that helps you blood sugar levels, restaurant locator to find restaurant in your area and cloud syncing option to backup history and favorites. Very useful personal care health app for iPhone users that is available free of cost on the app store. 6. 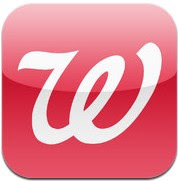 Walgreens ( iPhone ) – Featured rich life style app that can be installed on your iPhone free of cost. The app has many useful option with an easy to use interface. The app allows you to set goal and log activity of health related tasks such as walking, running and tracking weight. With the app you can also set schedule reminders to take your pills on time. The app includes many features such as – balance reward features, pharmacy features including health info and pills reminder, photo features including some photo editing tools, and shopping feature. Very useful app that can be used for multiple purposes. 7. 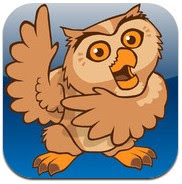 Proloquo2Go ( iPhone & iPad ) – Proloquo2Go is a costly app but very useful for parents and teachers of autistic children. The app comes with tons of features which can help autistic children to talk using symbols or typed text in a natural sounding voice. The app has tons of useful features for autistic children including American,Australian, British and Indian English natural sounding Text to Speech voices. Useful health app for autistic children. 8. 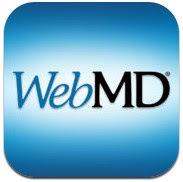 WebMD ( iPhone ) – One of the best free medical reference apps that help you find almost all types of important health related information. The app includes many features and tools such as WebMD Symptom Checker, pill identification tool, useful drugs & treatments info, custom list creation tool, and maps to view local health listing such as individual physicians , hospitals etc. 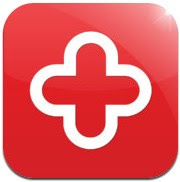 Very useful health & personal care app for iPhone users. 9. 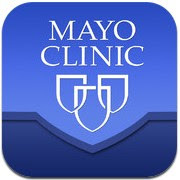 Patient ( iPhone & iPad ) – Patient is the free The Mayo Clinic Patient app that can be accessed by everyone to get latest health related news, publications and health info from Mayo Clinic. If you love to read health related articles and publications, this app could be useful for your device.